Captain Sirman was the pilot of a F-80C Shooting Star fighter interceptor with the 35th Fighter Bomber Squadron, 8th Fighter Bomber Group. On July 7, 1950, while on a combat mission, his aircraft received a direct hit by anti-aircraft fire. He survived the crash and was taken Prisoner of War, forced to march to North Korea on the "Tiger Death March", and was killed by a guard at An-Dong, North Korea on June 14, 1951. His remains were not recovered. His name is inscribed on the Courts of the Missing at the Honolulu Memorial. 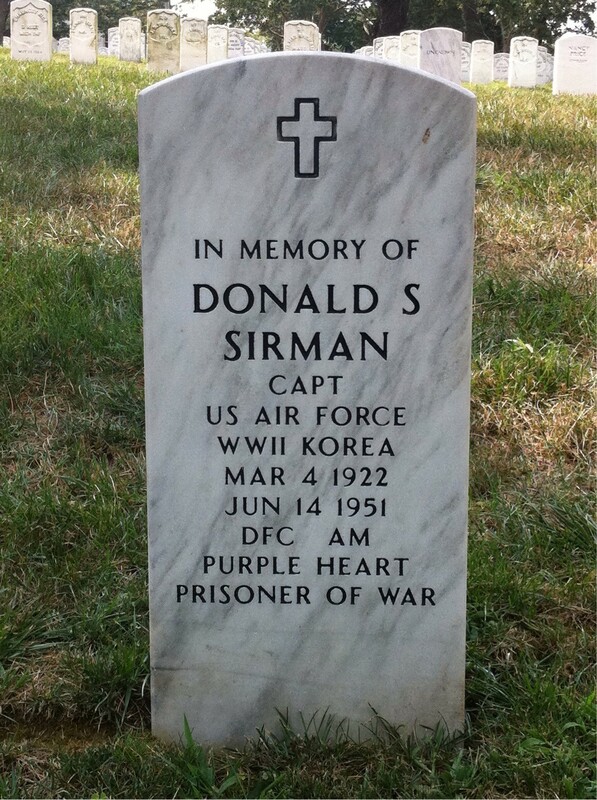 ** For his leadership and valor, Captain Sirman was awarded the Distinguished Flying Cross, the Air Medal, the Purple Heart, the Prisoner of War Medal, the Korean Service Medal, the United Nations Service Medal, the National Defense Service Medal, the Korean Presidential Unit Citation and the Republic of Korea War Service Medal. which memoralizes Captain Sirman. His body was never recovered.